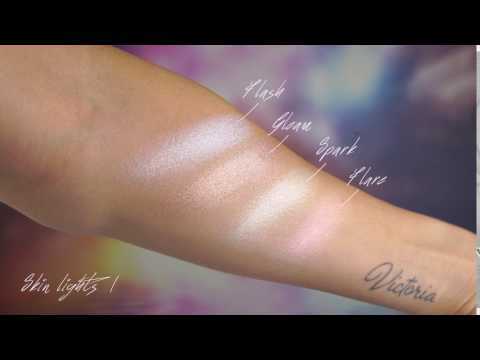 This palette is composed of 4 cream highlighters, 3 of which with a cool undertone i.e., FLASH (white), SPARK (golden yellow), and FLARE (rose), and one with a neutral undertone i.e., GLEAM (champagne-rose). Its 100% natural ingredients are another distinctive feature of this product. Weight: 5G/0.18 OZ each You can find the INCI names of each shade in the reference table of each eyeshadow.